Just a little heads up if you wanted to try the place, some items on the menu have a surcharge for dining in, so C and I did take away for our calamari and bentos, ate in the car and came back for dessert ahah! I think there was a change of shifts because we had different workers for lunch and dessert. The first batch of workers were not as attentive, as we were standing there waiting to order for quite a while because the staff was too busy focusing on cooking their food for the other customer and didn’t realise us. However, the second staff when we ordered dessert was very attentive and friendly, talking to us and making sure we were enjoying the food. 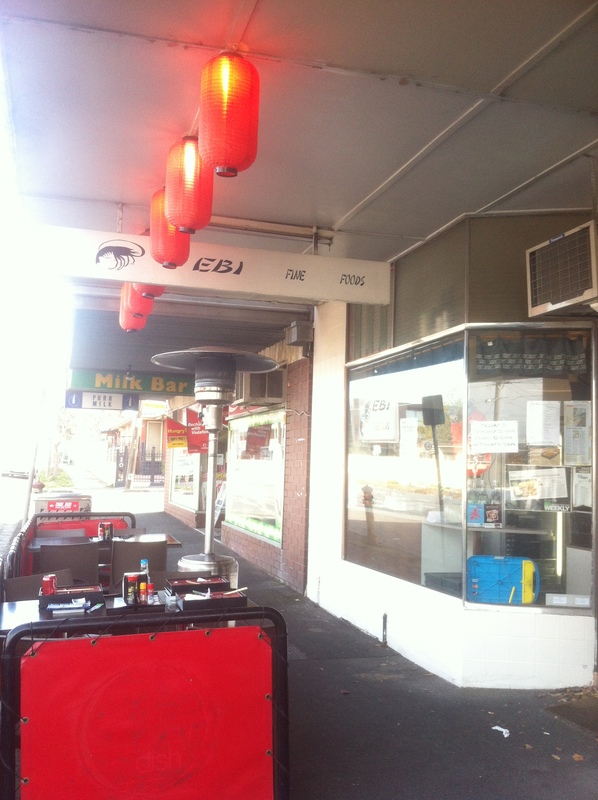 Togarashi Calamari ($15 – takeaway) – salt and pepper squid with Japanese pepper, includes an option of chips or salad. The menu says that it should be a little spicy however I didn’t taste any spice at all. The chips were pretty crispy and went great with the sauce, but it got a bit too filling and sickening after a while due to its thickness and the amount of potatos contained in one chip. 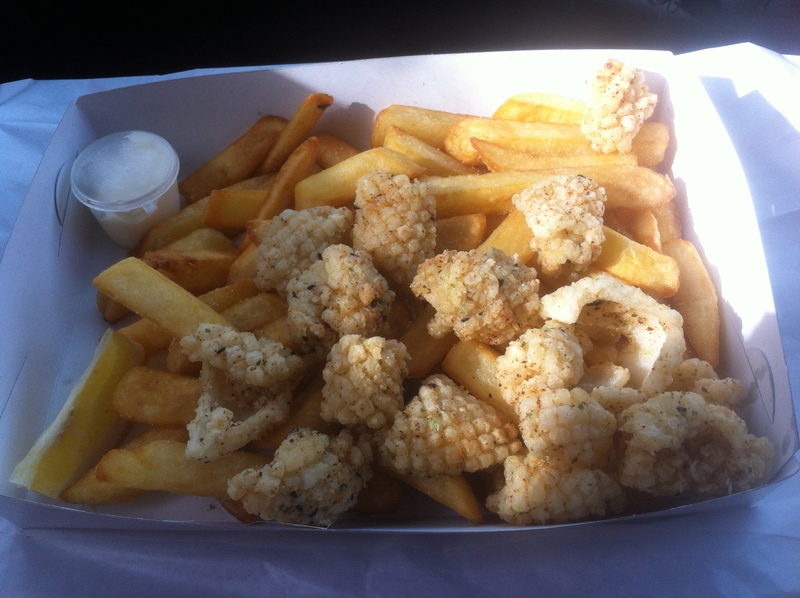 I found the calamari to be really bland and lacked seasoning, it was only nice when I put a lot of lemon on it. Not only this but a few were rubbery and hard to chew on. 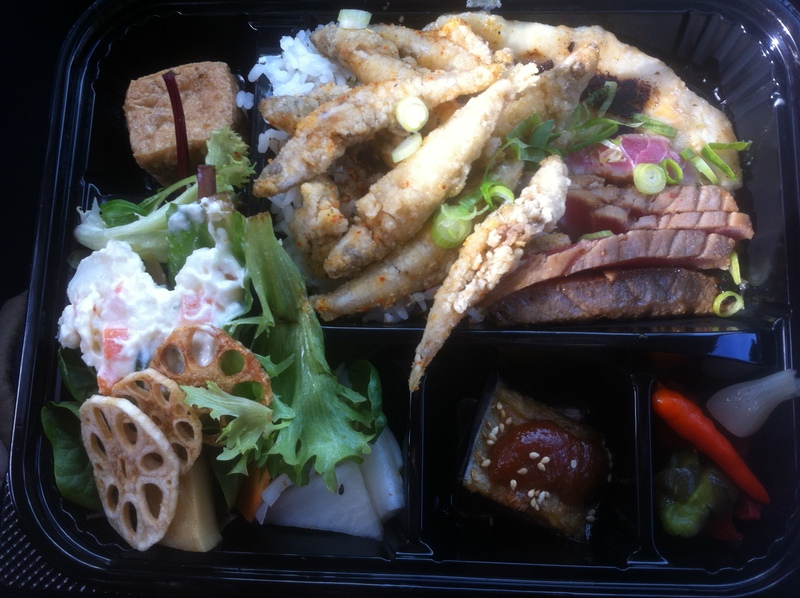 3 Fish 3 Ways Bento ($15 – takeaway) – this meal changes daily and comes with salad, marinated vegetables, rice and pickles. 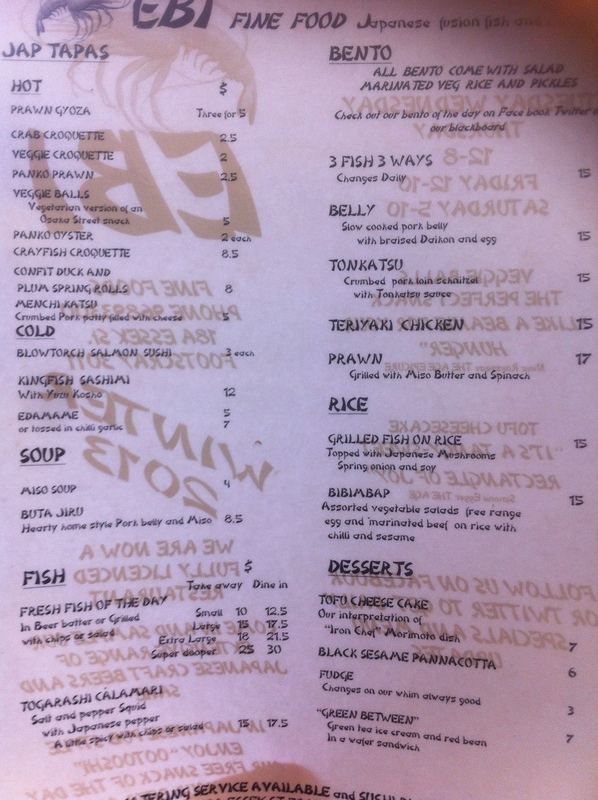 Today had salted salmon, crispy whitebait with chilli salt, and lime and miso marinated snapper. C let me try a bit of every fish and I thoroughly enjoyed the snapper, which I thought was marinated well and cooked perfectly. The whitebait was also good but C said it was unevenly seasoned with some being extremely salty while others not so much. The salmon was alright, I found it a bit plain. 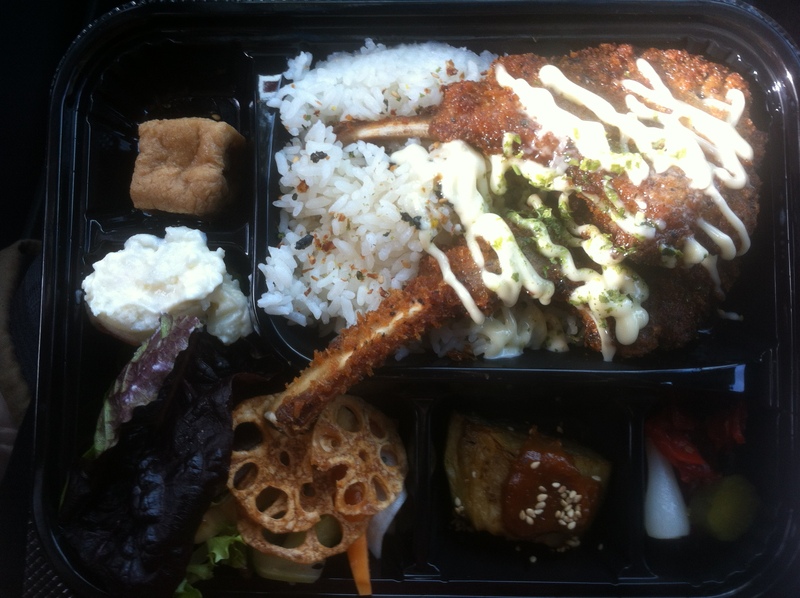 Bento of the day ($15 – takeaway) – Panko crumbed lamb cutlets w/ Plum and Shiso, comes with salad, marinated vegetables, rice and pickles. The salad was so bland, but that I can forgive because it gave a bit of texture and freshness when eaten with everything else. The eggplant would have been good on its own but the big dollop of sauce on top made it so bitter, I just couldn’t finish it. I don’t usually eat tofu so I didn’t particularly like the fried tofu, it had a weird and mushy texture so I just left that as well. But my golly, when I took the first bite into my lamb cutlet, I swear I went to heaven and back. It was amazing, not even exaggerating. The meat was tender and succulent, the panko crumb was crispy and flavoursome, and the addition of the sauce, damn my feels sososo good. Eating it with the rice was just the perfect blend. The lotus chips were also amazing, very cripsy and something new that I’ve never tried before (and I’m glad I did!). A bit disappointed though because they only gave us three chips, I wanted more! If I was to judge just based on the meal without the side dishes I would definitely give it a 9 or 9.5/10. For me, the sides were the let down of the dish. 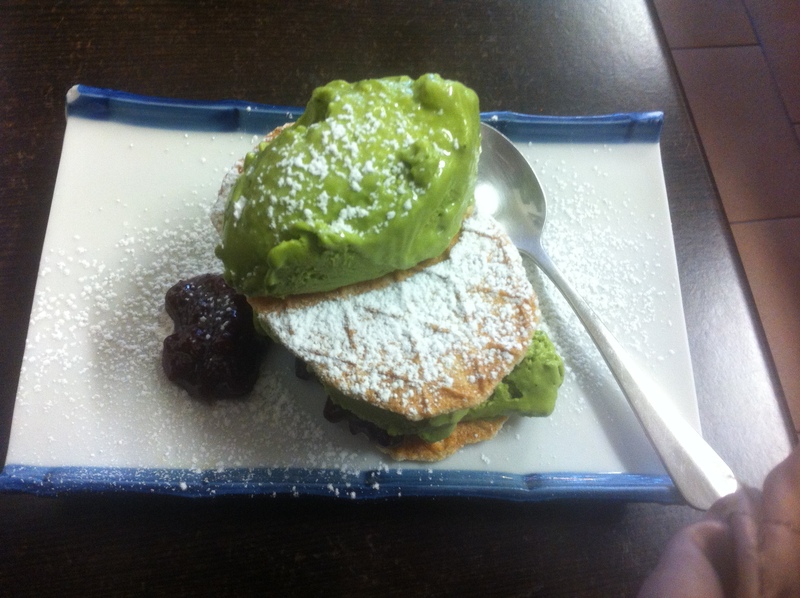 “Green Between” ($7 – dine in only) – Green tea icecream w/ red bean in a wafer sandwich. Seriously cannot go wrong with a green tea ice cream red bean fusion dessert, it just goes so well together! The quirkiness of its name, with its pretty presentation is such a treat! However, digging my spoon into the dessert was difficult, especially with the wafer biscuit. Nevertheless, “green between” was a great and simple way to finish the meal. Some of their menu items change daily so check them out for updates!